Spacious apartment in a fantastic location. The apartment is located on the second floor with a beautiful view canal view. Entrance with front door with acces to the hall, storage room. Stairs to the apartment. The living room is located at the canalside, the kitchen is equipped with a dishwasher, gasstove, combi oven, cooker hood and fridge. At the backside are the bedroom and the bathroom with separate washroom, shower second toilet en washbasin. 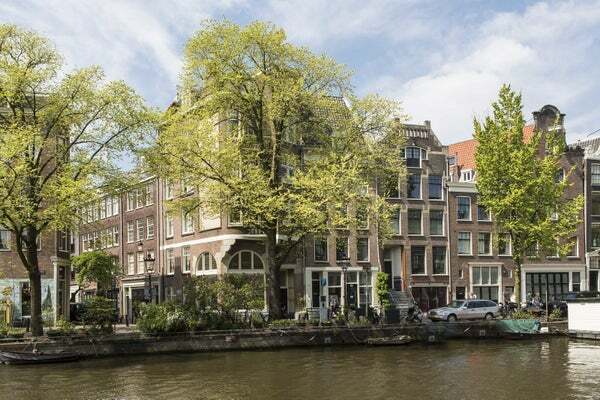 The apartment is located in the Centre of Amsterdam at one of the most beautiful places of the Prinsengracht. The apartment is close by the Elandsgracht whereby parking. Nearby are several shops and many cafes and restaurants.